Spirit of Speed 1937 (スピリット オブ スピード 1937) is a racing game for the Sega Dreamcast. It is notable for being the last release to date to be published under the LJN label, then owned by Acclaim Entertainment. The LJN name had been retired during the mid 1990s, following a long string of poor releases for Nintendo consoles. It is unknown why it was re-used here, presumably due of the poor quality of the game. The later released Japanese version, co-published by Taito, has the Acclaim brand instead. Spirit of Speed 1937 lets players race fifteen licensed vehicles of the era across nine different tracks. The game lacks any sort of multiplayer option, meaning players can only race against AI competitors. 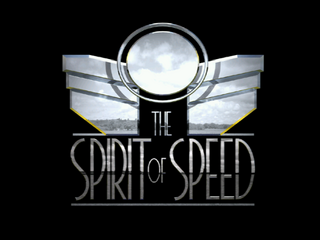 Spirit of Speed 1937, while in some cases praised for its original idea, was almost universally panned by critics for a variety of reasons, including its approach to graphics, the controls, the glitches and the game's long load times. Main article: Spirit of Speed 1937/Magazine articles.